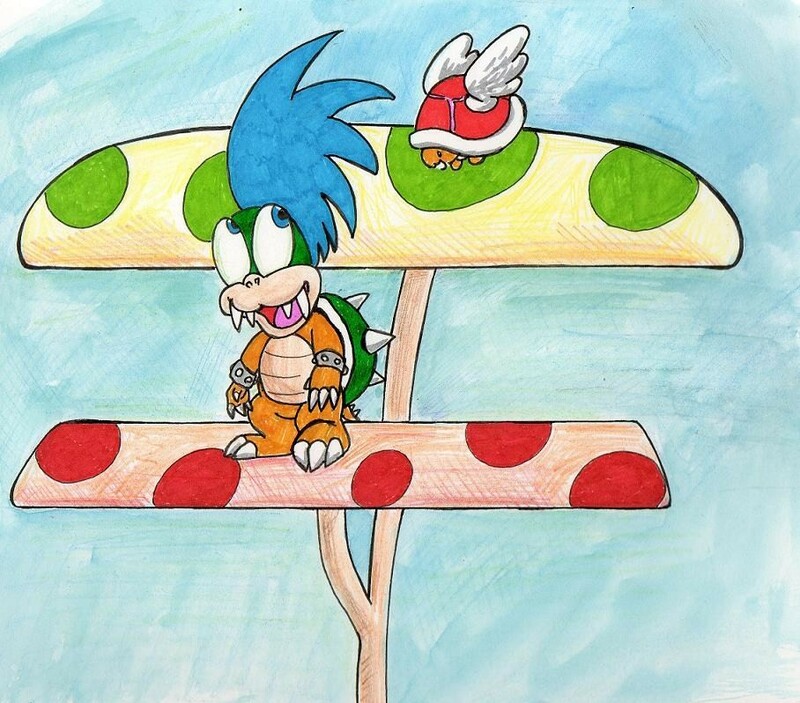 Larry and and one of his little minions hanging out on the giant mushrooms that grow all around in the Mushroom Kingdom. Ink, markers and some good ol' watercollor + color pencils for the sky. Is this one of the dudes from the Super Nintendo Super Mario world games?! Yeah, it's one of the koopa kids^^ there's like, 7 of them!! I don't even know how many I have!! I guss it'll say somewhere on her, huh! !